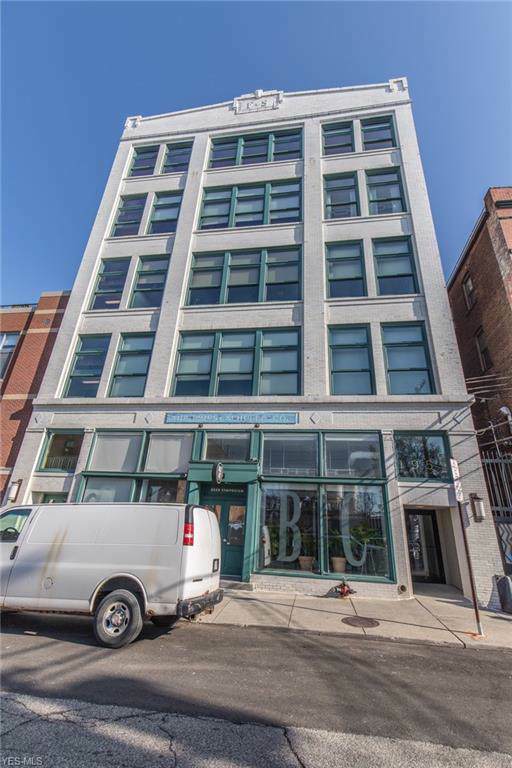 Open and airy 2 bedroom 2 full bath Fries & Schuele unit in the highly sought after Market Square of Ohio City. The open and inviting living space features a wall of windows bathing the room in natural light. 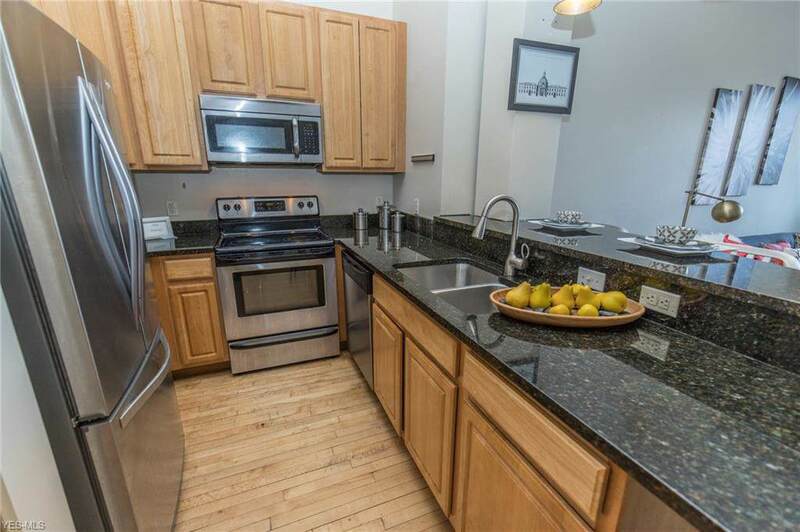 The well-appointed kitchen offers all stainless steel appliances, granite counters and more than enough counter space with an extended peninsula and high top breakfast bar. The master suite is tucked away for privacy and boasts a walk-in closet and luxurious on suite bath. The second bedroom is spacious and full of possibilities to be a guest room, home office or whatever kind of space you need. An additional full bath is also conveniently just outside off of the hall. Ensuite laundry completes the space. Enjoy the convenience of in building 24hr fitness room, private storage room, and private courtyard. 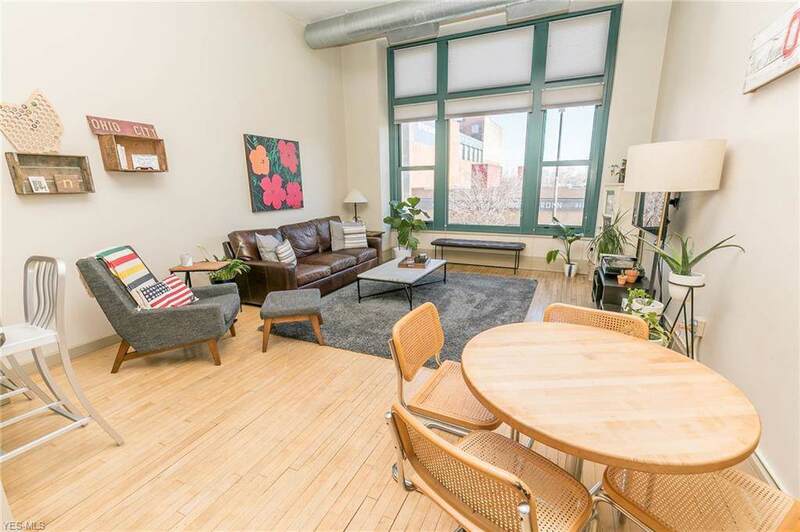 TWO covered, heated and deeded parking spots are included with this unit. 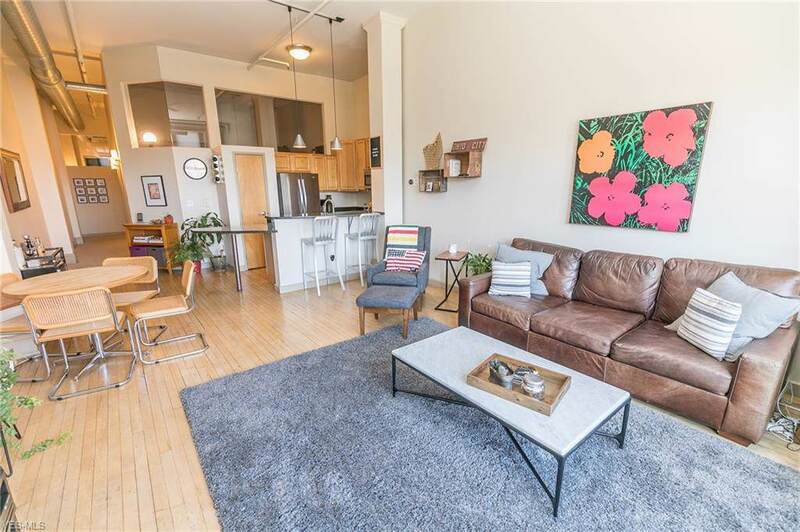 Location is everything, Market Square is home to some of the city's best restaurants, breweries, and the West Side Market, 5 minutes from downtown and 15 minutes to Cleveland Clinic and Case. Tax Abated through 2023!